This is the second installment of a two-part impact series. Missed part 1? Read about how Instrumental Access awardees are using equipment to stop the spread of HIV in the Dominican Republic. With its tropical climate, one of the Dominican Republic’s biggest public health challenges are diseases spread by mosquitoes. 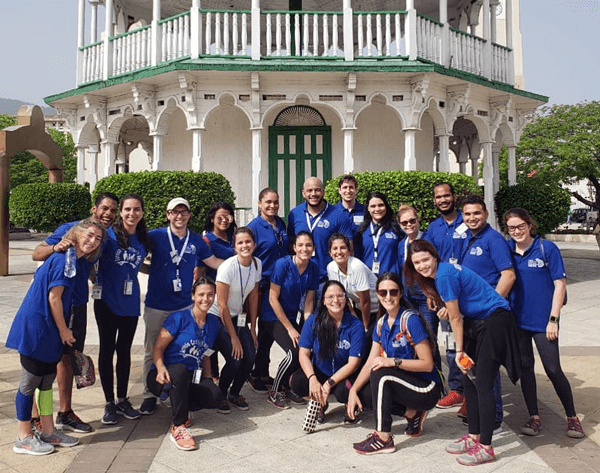 Thanks to a foundation of equipment from Seeding Labs, researchers at the Institute for Tropical Medicine & Global Health at Universidad Iberoamericana (UNIBE) have joined the fight against mosquito-borne viruses in the Dominican Republic. After receiving an Instrumental Access shipment in June 2016, the Institute opened in 2017. Since then, it has expanded its research capacity to include a new Entomology Lab and has begun collaborating on a USAID-funded project with Tulane University. "We're using all of the infrastructure right now and expanding," says Dr. Robert Paulino-Ramirez, director of the Institute. An Institute research assistant examines standing water in a barrel in search of mosquitoes. Before you can stop the spread of mosquito-borne viruses, you need to know where mosquitoes are and how they move around the country. 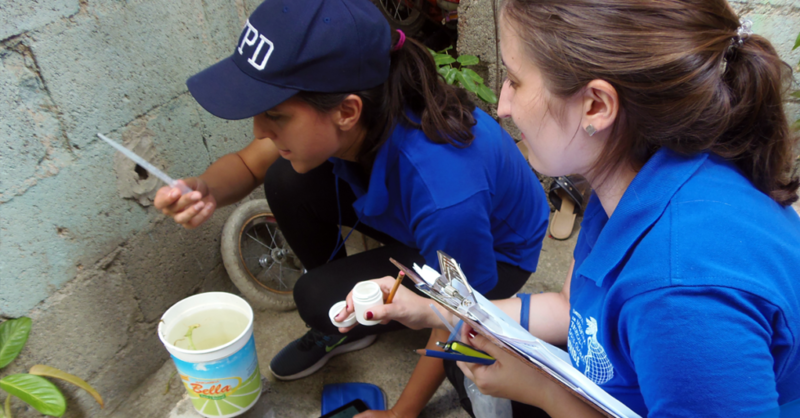 This summer, Dr. Paulino-Ramirez and colleagues worked with the government to canvass the entire Dominican Republic, collecting and characterizing local mosquitoes. Back at the Institute, Dr. Paulino-Ramirez is relying on equipment from Seeding Labs to pinpoint the viruses each mosquito vector carries, like Zika, dengue, and chikungunya. "For the first time, we’ll be able to isolate DNA from samples in our Molecular Biology lab with equipment that Seeding Labs provided." Their data will allow the government to measure the success of community-based mosquito prevention efforts enacted during the Zika outbreak in 2015. 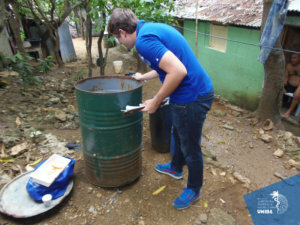 Institute research assistants canvassed the Dominican Republic to collect mosquito samples over the summer. They are pictured here in Puerto Plata with Dr. Paulino-Ramirez (back row, center). 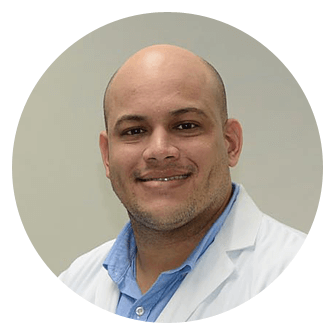 Based on their results, Dr. Paulino-Ramirez will be able to offer evidence-based recommendations on the most effective ways to reduce mosquito populations locally and stop the spread of mosquito-borne diseases. Dr. Paulino-Ramirez also plans to use the data to create virtual models of where mosquitoes are present around the country. He will predict future outbreaks based on "hot spots" and advise the government on where to deploy mosquito prevention efforts—a public health priority. With their increased research capacity, the Institute is able to participate in international research partnerships, something that would not have been possible without the equipment from Seeding Labs. The Institute was recently invited to join the Global Infectious Diseases Research Network, a collaboration between institutions in Mexico, Colombia, Peru, and the University of Texas, Galveston. 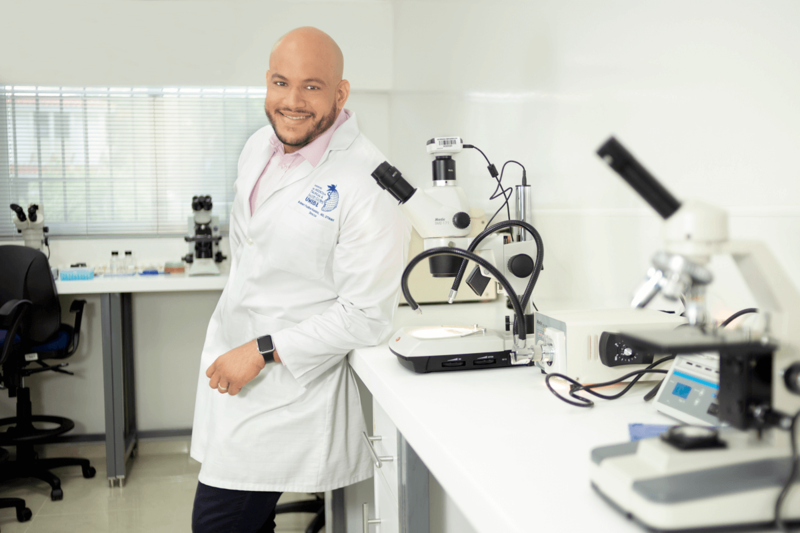 Dr. Robert Paulino-Ramirez received an infusion of equipment from Seeding Labs in 2016 that helped outfit the Institute for Tropical Medicine and Global Health at Universidad Iberoamericana. The coalition facilitates a network of researchers focused on comparing viruses circulating in South America and the Caribbean. Their findings will help guide public health efforts in tropical climates worldwide. "For our university to be working on the global initiatives that are being conducted right now, it would be impossible if we didn’t have the minimum equipment required," explains Dr. Paulino-Ramirez. "The conversation has changed to be about how we can collaborate, and that makes me proud. Now we can be part of a global research network in a more inclusive way because of the infrastructure we have." Photo at top: Institute research assistants collecting samples from mosquito breeding sites in communities across the Dominican Republic.